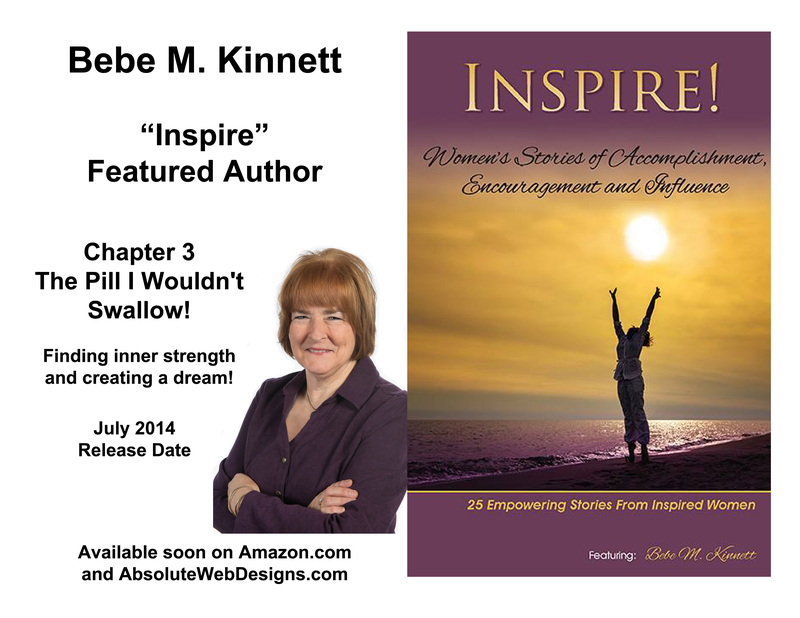 The Owner of Absolute Web Designs will be the featured author in a book called “Inspire”. Bebe writes about her challenges and the quest to fulfill her dreams. The book will be available in the summer. Schedule a Book Signing!